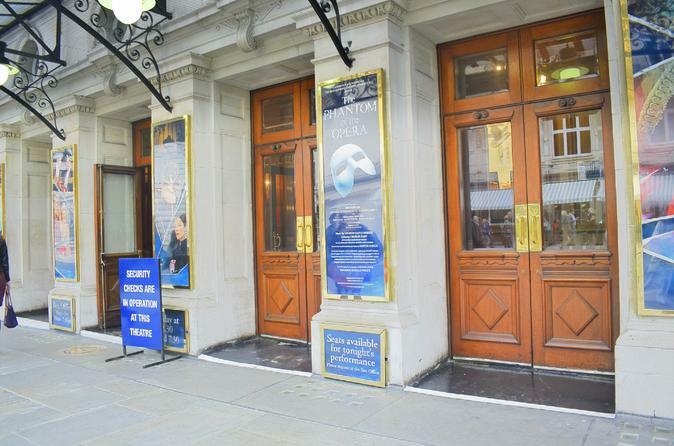 Immerse yourself in the tragedy of ‘The Phantom of The Opera’ at Her Majesty’s Theatre in London. The world’s highest grossing musical, this multi-award winning show features a Andrew Lloyd Webber score that turns its story of a mythical figure from shadowy Paris Opera House into a sensation. 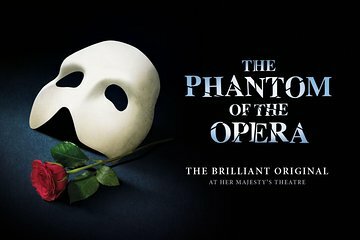 Be swept away by the love story to timeless melodies including the rousing ‘The Music of the Night.’ Choose standard-price or top-price seating for this London Phantom of The Opera production, and upgrade to enjoy a 2-course restaurant dinner before the show. Optional pre-theater dinner at Jamie's Italian Piccadilly. Take your seat and be carried away by the dramatic story, based on a 1909 French thriller by Gaston Leroux, about a terrifying figure who emerges from the shadows of the Paris Opera House and yearns for the love of his protégée Christine Daaé. Featuring lavish sets, costumes and special effects, the show is considered one of the most spectacular theater productions in history. Choose from two seating options for the performance when you book. Standard-price seats offer a good view of the stage, usually from the dress circle or rear stalls. Or, upgrade to top-price seating for stellar, close-up views of the stage and the stars! Make the most of your evening by upgrading to include a tasty pre-show dinner at Jamie's Italian Piccadilly. Incredible performance! I would highly recommend. Great production, I liked the lead singer the best. Lovely production, simply a fantastic performance. If you want to see a show in London then this would be one for the list. Great way to get tickets,Awesome seats! Loved the performance of the Phantom! It was a brilliant experience! The show was mind blowing and we were thoroughly enthralled with the magnanimity of the play. Amazing!